Brittany Hiller attended the births of both of my boys, in June 2010 and February 2012. I received wonderful care; professionally and medically. Brittany provided great prenatal care during my checkups. I felt very comfortable asking questions and was impressed with her level of expertise and knowledge. When my first son was born, he had fluid in his lungs and Brittany quickly attended to him and successfully got the fluid out. When my second son was born Brittany did an amazing job repairing a second degree tear I received. She is a great cheerleader (especially while pushing! 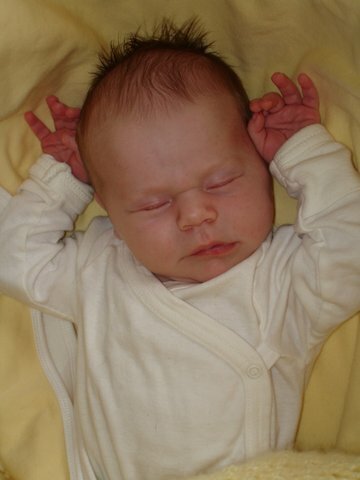 ), a quick-acting and calm midwife, and very thorough and sweet during postpartum checkups. 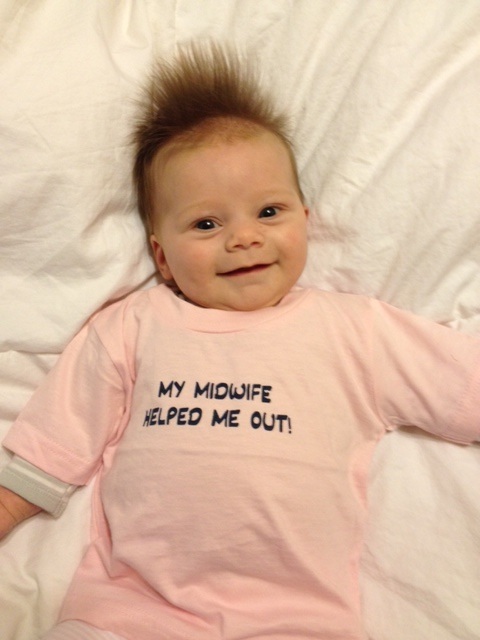 I’m so glad Brittany was my midwife — twice! Brittany is an amazing midwife and a wonderful asset to our community. She is extremely skilled and knowledgeable, and she has a very warm and calming presence. During my son’s birth, she was so positive and encouraging, and I was so thankful to have her by my side. I would not hesitate to recommend her to anyone! Four years ago, when I became pregnant with my first daughter, I was terrified. I had seen my sister give birth in a hospital after an elective induction, and it was frankly terrifying. I thought, if that’s what labor is, than give me an epidural! Throughout the pregnancy, I did plenty of research, and realized that my daughter’s birth story could be beautiful–and not scary. I ended up having a wonderful experience giving birth in a hospital. When I got pregnant the second time, I was no longer scared, but I knew this time around I wanted it even better. The midwife model of care, where I was an active participant in the decision-making for my prenatal care, labor, and baby’s birth, was how I knew I wanted to go. During my prenatal appointments, Brittany always explained my options clearly and without judgement, gave me the time to ask all the silly questions I could think of, and never rushed any of our appointments. One year ago today, I gave birth to my beautiful baby girl in my own home with Brittany by my side. She came over shortly after I called, calm and happy. Throughout the whole labor, she gave me space but gave me gentle and helpful suggestions. I felt like she trusted both how I wanted to do things, and my body’s ability to do them. She facilitated exactly the kind of birth I wanted, while helping to move things along as a confident, positive force in the room. I cannot recommend the Family Tree Midwifery more highly. I hope that you are able to have as amazing a birth experience–and all that surrounds it–as I was one year ago. And with the Family Tree Midwifery, I’d say you’ve got the best shot! From the time I found out I was pregnant with my third, I knew I wanted a home birth. My first had been a typical hospital, induced, epidural birth, and I walked away from it having an uncanny feeling that I had just “lucked out” without needing a C-section. My second was born in a hospital birth center with midwives and everything went great but I still detested the post-partum period and the mandatory 24 hour stay after delivery. So, with Judah, I knew that I wanted a homebirth. We contacted Brittany and she promptly set up a “meet and great”, and from that time on I knew she was the perfect midwife for us. I believe she would help me be able to have the perfect homebirth that I had so desired. When the time of labor came, I had contacted her a few different times throughout the day because things seemed off, and she was constantly there to reassure me. (I normally go to about 42 weeks, but Brittany had warned us that there’s a longstanding joke that third babies are a “wildcard” which turned out to be true). At 10:45 p.m. (the day before my due date) my water broke, but my contractions were still very irregular, I called her and let her know and said I was going to take a shower and call her back afterwards to let her know what the time between contractions were. To her great credit, she listened to me during a contraction and without me telling her, decided to head over anyways, knowing my history of short births and by just listening to me, despite the fact that my contractions were still ranging wildly. By the time I was out of the shower and semi-dressed she was there and shortly after, her birth assistant. Very shortly after, I started pushing, but I never had to tell Brittany I was, she was so in tune with my body that she knew before anyone else and got me in a comfortable position. Judah’s birth was more difficult for me than my previous natural birth and I had a hard time, but Brittany knew exactly when to be quite or quietly reassure me. I cannot imagine a more perfect midwife-I truly believe God sent her to me to help make sure we had a perfect birth experience. For the birth of our first child, we decided that we felt the safest with the midwifery model of care. This was not how I would have envisioned myself giving birth even just several years ago, but ultimately this made the most sense to my husband and I. The amount of education we received throughout all the prenatal appointments was fantastic and the gazillion questions we had were always answered with patience and encouragement preparing us for a successful, natural birth. Since this was our first child and hospital births are the norm, there was definitely a little voice in the back of my head saying, “Can I really do this without any pain medications?” I just had to keep telling myself that millions of women before me have given birth without pain medications and that my body was designed in such an incredible way! Our baby girl was born at a healthy weight without complication, but she was 12 days past her “due date.” Had we been with a physician, I’m skeptical that I would have been given the opportunity to give birth the way I desired to. The midwifery model was definitely the right choice for us. And for that we feel exceptionally blessed! Throughout my labor and delivery, Brittany knew exactly what to do and say. Her knowledge and experience made the birth of my first daughter absolutely perfect! I’m blessed to say that it could not have gone any better. During our pre and post care, she never seemed like she had anywhere else to be. She is very focused and patient- even when my husband asks a million questions every visit! We had such a great experience and will definitely be calling her when the next one comes along!